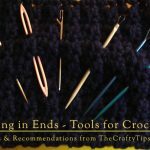 This post is one of a series of posts about the various tools and techniques available to knitters and crocheters for weaving in ends. 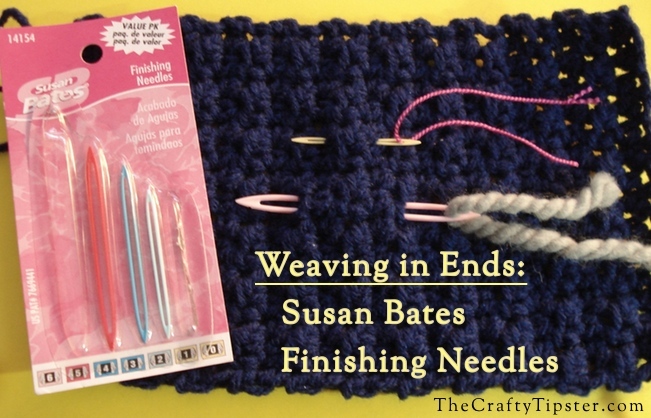 Today’s post talks about Susan Bates Finishing Needles. 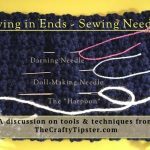 My last post talked about Weaving in Ends with Sewing Needles and all of the different kinds of needles available. 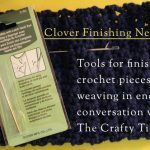 In my pursuit of the perfect tool for weaving in ends, I also reviewed the Clover Darning Needles with Latch Hook Eyes and wool needles. The Susan Bates Finishing Needles are truly sized for the different thicknesses of threads and yarns. 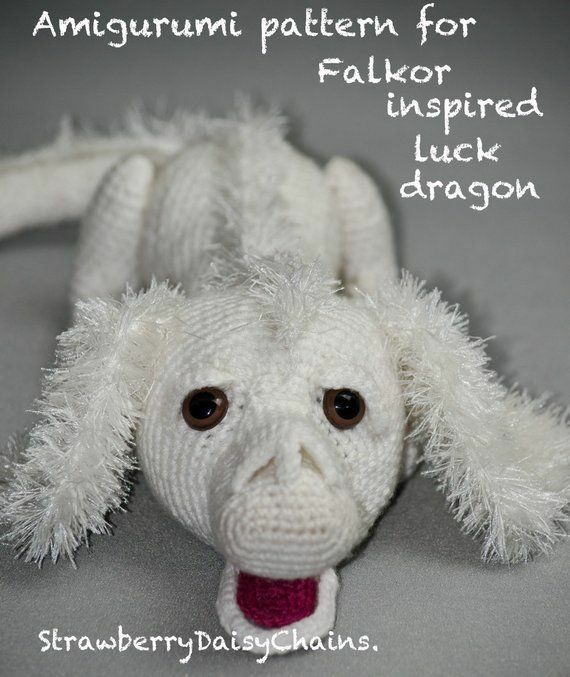 The points are appropriately sized to the yarns too. The smallest size slipped easily into my project made with size 8 crochet thread. The point was fine enough to gently split the threads to help secure the end into the piece. Most craft stores carry them. I found myself having to physically split the finishing needle to get the thread in the opening. It’s not much bigger than the opening on a darning needle and yet for some reason, the thread just wasn’t going in. The smallest needle feels very flimsy and bendy. I kept waiting for it to break. The larger needles are stronger but they have issues as well. These needles are on the thick side. 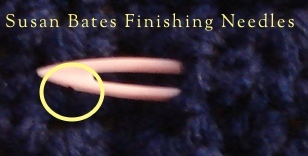 When making a ‘stitch’, you have the thickness of the side walls of the needle and the thickness of the yarn (times 2). 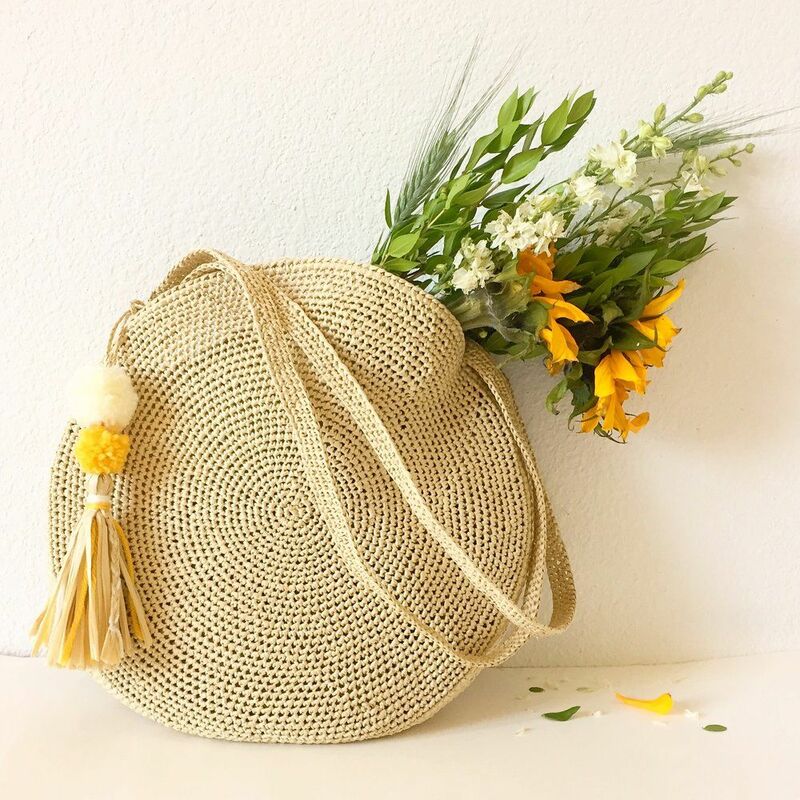 It doesn’t sound like a lot but if you make tighter stitches or are trying to weave the ends through a tall stitch like a treble crochet, it can stretch the stitch all out of shape. It also might be a personal thing but I’m not a fan of plastic crochet hooks. 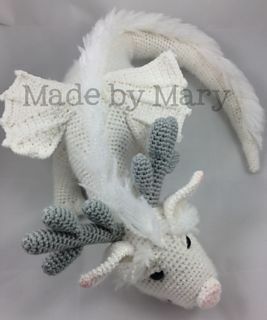 I don’t like how the yarn moves across them. These finishing needles felt the same way to me. They’re made in China and available from Amazon and many craft stores. The generally run $5-7 or less with coupons and sales. 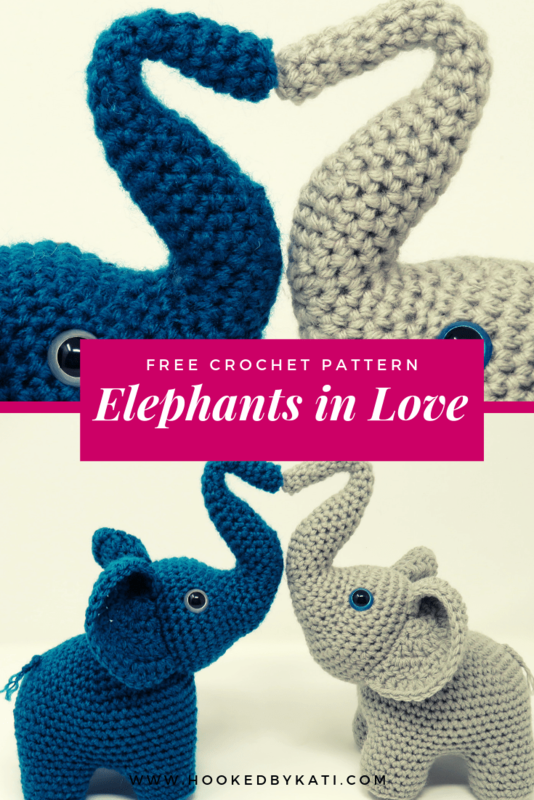 A lot of crocheters, and knitters, love them. 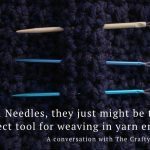 The day before I posted this article, one of my crochet Facebook groups had a number of people saying these were their favorites. I truly do not like these and I will not be using them to weave in ends on my crochet projects.